She broke the law of the Dead...but will she pay the price? Old Marsh, the gardener at Belerion Hall, warns the Villiers girl about dark places of the tombs along the cliffs. “There be those who listen for oaths and vows…What may be said in innocence becomes flesh and blood in such places.” A gothic supernatural chiller in the tradition of Daphne Du Maurier, Poe, and Shirley Jackson. "&apos;Never sleep there, for the dead enter your dreams.&apos; Those frightening words froze me to the page. 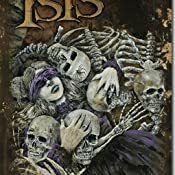 And when Isis dares to open the doors to the Tombs, I knew the dark legends and terrors of this book would stay in my dreams for a long, long time." "Douglas Clegg&apos;s Isis is a haunting beauty of a tale as chilling and dark as the shadows on an October night." 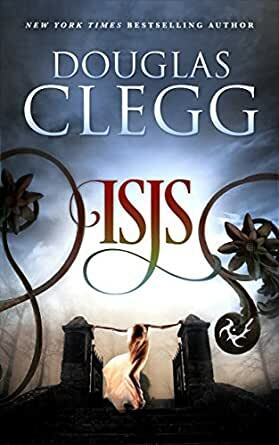 "Clegg (The Abandoned) expands the burgeoning backstory of his multivolume Harrow haunted house saga with this poignant chamber tragedy involving young Iris Catherine Villiers (who, as an adult, will become Isis Claviger, oracle of the spook-ridden Hudson Valley academy)...This potent novella, one of Clegg&apos;s best, is both a stand-alone triumph and a powerful new chapter in his evolving series." "A literary work for the ages. This story is Clegg at his absolute best...lovely and powerful and profound...a story that will live on for decades." 5.0 out of 5 stars"Wonderful Tale By Douglas Clegg"
Douglas Clegg Does It Again. This Wonderful Novella Is Full Of Desire,Lust,and Even Death. What Would You Do To Bring Back a Dead Loved One,and What Price and Cost Would You Be Willing To Pay. Your Soul Maybe,and What Answer Might You Be Able To Give.A Beautiful Tale,Yet Filled With Madness,Love,and Sacrifice.And Does Iris Catherine Villiers Know and Have The Answers Within Her. Read This Wonderful and Touching Yet Heartbreaking Story and Uncover The Answers and Madness For Your Self. "A Must Read." 5.0 out of 5 starsIsis, I loved it! 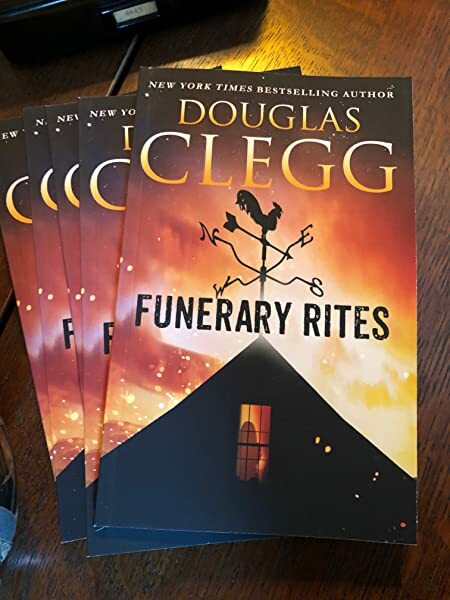 I was really excited when I found out that Douglas Clegg was writing a book about Isis. I wanted to know more about her character. This book is incredible. The illustrations are haunting and beautiful. The story itself is fascinating and sends just the right amount of chills up your spine. I'm very interested in world mythology, so I really liked seeing the Egyptian myth about Isis and Osiris worked into the storyline. Douglas certainly knows how to describe everything so you feel as if you are there inside the story. I'm sure that just like me you'll read it in one sitting. This is definitely a great book to read to older children by the campfire or even make it a tradition to read together every Halloween. Pick up a copy, you won't be disappointed. This was a most unusual horror story in that it was not at all frightening, and yet I loved this book. It's the incredibly sad tale of a young lady whose brother loves her dearly, so dearly that he gives his life to save hers. She returns the favor by showing herself to be far too thoughtless and cruel to have deserved such love, selfishly claiming his unlife for herself as well. It's terribly sad, quaintly written, and the remarkable illustrations truly magnify the emotional effect of the story. I love the way Douglas Clegg writes. He has opened a hole new world for me. I can't wait for his next book to come out, so I can buy it. In my book he is up there with my favorite author Stephen King, Dean Koontz, and Brian James Freeman. I can name more but not enough room. A little slower paced than Necromancer but overall worth the read. 4.0 out of 5 starsVery Nicely Done! Another gem in the Harrows series, with great characters and setting as well as fast moving plot. I was at attention when I first heard about this book. I've read two books about Harrow and its mysteries and loved them. But this one, I was pretty dissapointed. It was too short (I expected it to be longer), the illustrations do give you an idea of the atmosphere, but I was content with making my own fantasy when I read the other two books and the descriptive lines. It is very heartbreaking and compelling and mysterious. I did not know what was going to happen in the end. Those are the pros. But I really expected more. But I do think Douglas Clegg is a phenomenal writer and I have to get the rest of the Harrow series books to keep the mystery going.